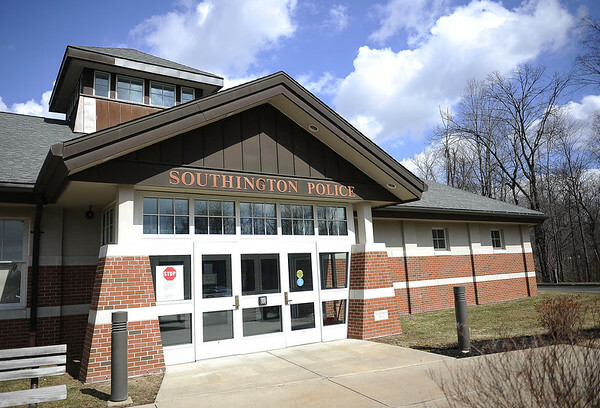 SOUTHINGTON - A local woman was arrested Friday and accused of allowing teenagers to drink alcohol and smoke marijuana in her home. Police allege that Tricia Angelo, 43, of 119 Milldale Ave., let her son and some of his friends have small parties in her home for about two months, showing them how to smoke marijuana from a glass bowl at one point, according to the warrant for her arrest. She faces one count of risk of injury to a minor. When police spoke to Angelo about the investigation, she adamantly denied letting anyone drink or use drugs in her home, the document states. She said her son’s friends slept over from time to time, but they know she does not allow anything illegal. Police launched their investigation on Aug. 11, when a 14-year-old and his mother went to the police department to speak with officers about some “disturbing” text messages she had found between her son and his friend’s mother, Angelo, the warrant said. The state’s Department of Children and Families was made aware of the allegations, but the agency declined to get involved, according to the warrant. The text messages showed the teen and Angelo talking about his experiences using marijuana, according to police. They also showed the juvenile asking her if he could get drunk in her home and if she could take him to buy “a gram,” the warrant said. A gram is a common slang term to buy a quantity of drugs. The 14-year-old told police Angelo regularly let he and his friends “party” in her home for about two months, saying she had a refrigerator “stocked” with beer, and that they sometimes ask for it and, other times, she offers it, the warrant alleges. On one occasion, the teen told police, Angelo allegedly drank with the teenagers, according to the warrant. On another occasion, in late June, one of the friends brought marijuana over and Angelo said “maybe” to allowing them to smoke it, the warrant continued. She then went into her room and, when she returned, had a bowl to smoke the marijuana and taught the teens how, police wrote in the affidavit. The teen said he smoked marijuana in the home other times after that and that Angelo was present when he did. Angelo, who was arraigned Friday in Bristol Superior Court, was released on a promise to appear. She did not enter a plea and is due back in court on Oct. 25. Posted in New Britain Herald, Southington Herald on Friday, 14 September 2018 17:32. Updated: Friday, 14 September 2018 17:35.